This past weekend I was honored to participate in the launch of the Dignity Museum, a project by Terence Lester‘s amazing organization, Love Beyond Walls. 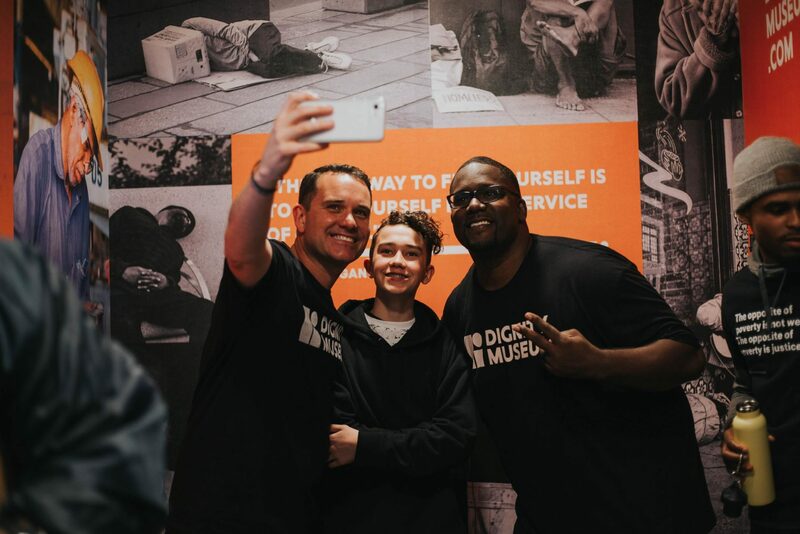 The Dignity Museum is a traveling museum that shares the stories of those who are forgotten – our brothers and sisters who are experiencing homelessness and poverty. Terence founded the organization in late 2013, and his story is amazing. I had the great opportunity to meet him last year when a few of my dragons saw him speak at an event. I invited him for coffee, then invited him to speak to the entire Dragon Army team, and we’ve been fast friends ever since. What he’s created is nothing short of amazing, and the Dignity Museum is something I hope all of you try to see. The museum, by design, is itself homeless – it resides in a beautifully designed shipping container. Please support this great organization, and consider inviting Terence to come to speak to your organization, church, or community. You won’t be disappointed.